Support other formats to and from your 3DEXPERIENCE CAD platform within the integrated architecture of 3DEXPERIENCE. 3DEXPERIENCE DirectTranslator works directly with 3DS APIs to ensure the highest fidelity. 3DEXPERIENCE is the software developed by Dassault Systèmes under the concept for a new era—share the various information online among relevant persons, divisions and companies via 3D CAD data bridging CAD applications in the market seamlessly. Elysium is one of the very few official partners that can develop 3DEXPERIENCE-related products using “xCAD” component, and developed an optimum interoperability solution based on 3DEXPERIENCE, which allows to import CAD data in various formats to 3DEXPERIENCE business ecosystem. All data created in 3DEXPERIENCE are stored in “ENOVIA,” a PLM system developed by Dassault Systèmes. This means access to ENOVIA is prerequisite to translate native 3DEXPERIENCE data, which requires xCAD component. Under the official partnership, Elysium 3DEXPERIENCE DirectTranslator translates the native data by directly accessing ENOVIA, instead of the translation via neutral formats such as 3DXML. Furthermore, it also detects and repairs geometry errors automatically during the translation, as well as translates non-geometry information including properties and PMIs accurately. 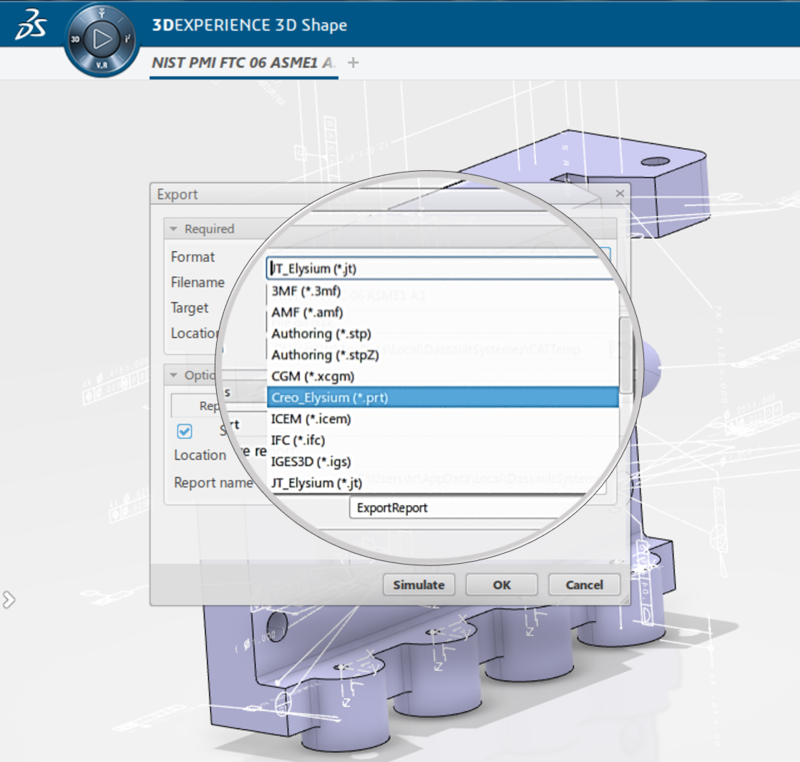 3DEXPERIENCE DirectTranslator is embedded into 3DEXPERIENCE using xCAD component. This allows users to run data translation from the import/export menu simply by selecting the file format, while other translators without xCAD translate via intermediate files in intricate processes—export an intermediate file from 3DEXPERIENCE and import to other CAD system, and the other way around. 3DEXPERIENCE DirectTranslator contributes to the realization of the basic concept of 3DEXPERIENCE—to utilize the product information seamlessly on a single platform. 3DEXPERIENCE provides batch processing capabilities for data import/export as a standard feature. 3DEXPERIENCE DirectTranslator offers high-quality batch translation utilizing this feature via xCAD.